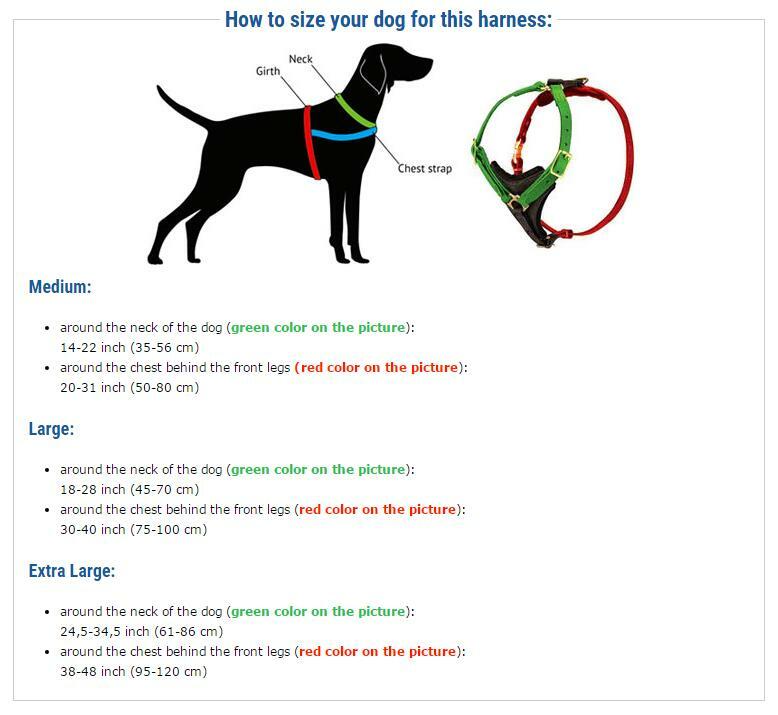 Only the finest quality materials are used to create this dog harness. The top-notch genuine leather is extra soft and flexible, being manually oiled and polished. Its edges are waxed to protect your pet from the displeasing cutting of the item into his skin. You may also forget about skin allergies, rubbing or irritations, because leather is non-toxic and hypoallergenic. The harness designed in classic style. All the parts of the supply are stitched with strong nylon thread. The chest plate is covered with inside soft thick felt padding. The hardware of the harness is made of reliable and timeproof brass.